Many of our readers asked us recently about depositing money in Tanzanian shillings with M-Pesa on their Meridianbet accounts. 1. 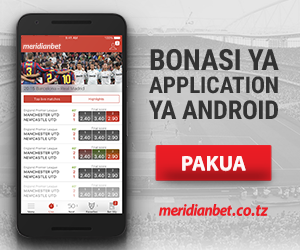 Sign up on the Meridianbet.co.tz website. 2. Dial 150*00# on your mobile phone. 3. Select option 4 to Pay by M-PESA. 4. Select Option 4 to Enter the Meridianbet Business Number. 5. The Meridianbet Business number is 170066. 6. Enter your Meridianbet Account ID as the reference. 7. Enter the amount of money in Tanzanian Shillings you wish to deposit into your Meridianbet account. 8. Enter your unique M-PESA pin code and remember not to share this with anyone. 9. Select option 1 to confirm the transaction and wait for the money to appear in your Meridianbet account. 10. 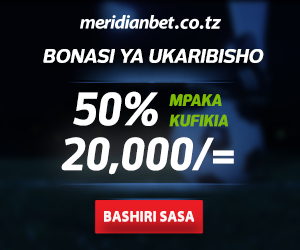 Enjoy good sport, bet with Meridianbet.co.tz, MeridianBet guarantees the best deal and betting odds on all sporting events!